At the physiological level, these reports explore changes in growth and biomass, species composition, and wildlife habitat , at the landscape scale, the abundance distribution and dynamics of species, populations and communities are addressed. Chapters studies of nutrient depletion, climate and atmospheric deposition, carbon and nitrogen cycling, insect and disease outbreaks, biotic feedbacks with the atmosphere, interacting effects of multiple stresses and modelling the regional effects of global change. The book provides sound ecological information for policymakers and land-use planners as well as for researchers in ecology, forestry, atmospheric science, soil science and biogeochemistry. 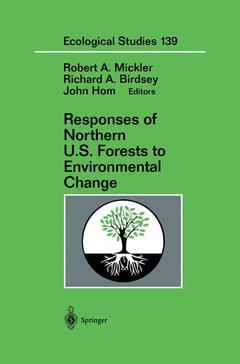 An introduction to Northen U.S. forest ecosystems. Global change impacts on tree physiology. Ecosystem-scale interactions with global change.